9 bedroom/9 bath Heavenly Mansion located right next to the Heavenly California Lodge (Literally across the street). This high-end luxury Mansion has it all. 1st Floor has an Indoor Pool surrounded by rock walls and Cedar siding. Multiple custom daybeds surround pool, Fireplace and 50'TV above Fireplace. Indoor Sauna inside Pool room with full bathroom connected. Large hot tub just outside Pool room, dining table just outside Pool on 1st Floor patio with seating for 12. Custom Adirondack chairs surround a Fire Pit that take your visual focus to the breathtaking backdrop of the face of the Gunbarrel slopes of Heavenly. As you take the stairs up to the 2nd level your eyes will follow 25-30 feet up as the exposed walls are lined with rock from ground level floor to 3rd Floor ceiling. 2nd Floor boasts living room with Restoration Hardware couches in front of a large rock fireplace and 70'inch Flat Screen TV. Chefs dream kitchen with top of the line Stainless Steel appliances featuring a massive 72'inch Thermador Fridge. Island and bar create a great open floor plan for cooking, socializing and dining. Bar can seat up to 10 people with custom designed Walnut bar stools. Custom made 13 foot Black Walnut dining table with Steel base is a one of a kind design and can seat up to 16-18 people at the table. So dining capacity up to 26 people with bar and dining table. 2nd Floor deck has outdoor Fireplace, Restoration Hardware Outdoor furniture, Built in Stainless Steel BBQ, bar seating up to 10 people with custom designed teak bar stools. 4 bedrooms/4 baths on 2nd floor. 3rd Floor is the Game room and has large vaulted ceilings with stunning views of the face of Heavenly Ski Slopes, you can watch the Heavenly Tram go up and down the mountain. Restoration Hardware leather sofa in front of massive 80'inch TV that can be viewed from everywhere. Rock fireplace with Modern linear fireplace, Pool table, Foosball table. Bar with custom bar stools, 2 50'inch TVs at bar, built in Fridge, Built in Ice Maker, Dishwasher. Movie Theater has Top Grain Leather theater seating for 18 people with a 120'inch HD screen perfect for Corporate meetings or Movie Marathons. 3rd Floor deck has more lavish outdoor patio furniture from Restoration Hardware set in front of a long linear outdoor fireplace. Truly an amazing Indoor/Outdoor experience created at this home. 5 more bedrooms on this top floor. Master suite has a California King bed, see through dual Fireplace between bedroom and bathroom. Dual sinks with granite countertops, oversized walk in shower with 16 inch Rain Shower head in dual shower. Jetted tub connected to walk through shower, tub boasts a Waterfall design spout. All bedrooms have been designed with mostly Restoration Hardware beds and bedroom furniture. Every bathroom has all high-end design with granite, marble and tile throughout. Massive 72'inch Thermador Fridge in main kitchen, additional stand up built in Fridge in the bar/game room. Microwave in kitchen and Microwave in bar/game room. Private chefs available on request. Chauffeur available on request. Private limo drivers available on request. Great location, spacious group rooms, a little tight in some bedrooms. We just finished a four night stay at this property. Furniture and the general house condition were more "lived in" than we expected but overall it was a nice stay. Advice to the owner: the sauna timer is not working at all, the theater room is cool but takes a PHD to turn on, and the sloped driveway could have used more attention. On the positive side, the space was great and proximity to the Cali lodge was nice on Saturday when it made sense to walk rather than fight the traffic. The house was as advertised. Has a great main kitchen with two dishwashers, large kitchen table, and huge fridge/freezer. Just about everything worked properly, which can sometimes be an issue in rentals. The master shower has a huge rain shower but unfortunately the water barely comes out, was bummed as I love a good shower. The pool is great, perfect temp, the sauna was nice. The grill is tough to light, but eventually got it. Tons of TVs, with all the channels you could want, furniture is all great and well made. Would like to come back during ski season one day, seems like would be an even better house in the winter. The house is beautiful and very spacious. Plenty of room for large groups and the small touches are awesome. Management was great and access was easy. Only a couple of small notes. Although it states there are 9 full bathrooms, there are really only 7 toilets. On each floor, there are two bedrooms that each have their own sink and shower, but the two bedrooms share a toilet, which was a little bit of a hassle because we had a couple in each room and they had to remember to lock and unlock the door each time they used the toilet in the middle of the night. Also, you should note that there is no use of hot tub or pool between 10pm and 8 am. This is a city ordinance, not one imposed by the owner, but violation results in a $1000 fine to renter and owner. Our group usually likes to lounge in the hot tub late night, but it ended up not being a problem. Despite these small issues, I would still highly recommend the property. 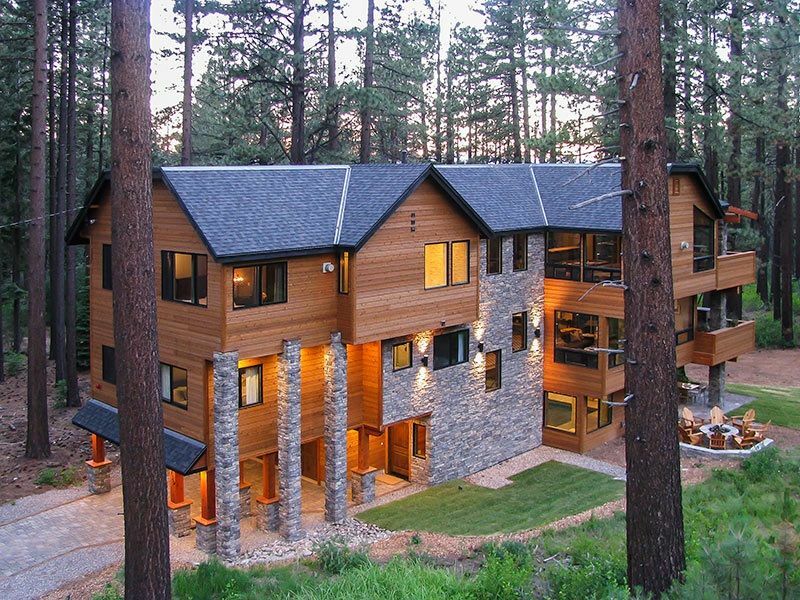 This property is simply amazing and was the perfect location for a weekend of skiing and relaxing. The location can't be beat and the rooms are so comfortable, with everything one would need. We all loved the hot tub and pool as well as the amazing kitchen. Thank you for a great trip! Everything was just as described. Anytime somethin did not work properly or needed an additional pot for the kitchen, etc. they were only a phone call away and showed up in minutes. Very pleased, would rent again! The house is incredible. We had an outstanding time.